“I know thy works, that thou art neither cold nor hot: I would thou wert cold or hot. So then because thou art lukewarm, and neither cold nor hot, I will spue thee out of my mouth” (Jesus Christ, Revelation 3:15-16). It is a sad but common thing for churches to grow lukewarm in their zeal to bring the unsaved to Jesus Christ. We should not be surprised when we find a church in a spiritual decline, but we also should not be lethargic about it. Fruitful church life requires continual spiritual revival. 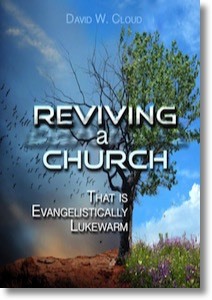 This book will give you practical tips on your church can be evangelistically revived!